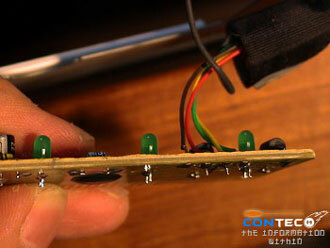 Here is a guide to show you how you change LEDs on a keyboard. 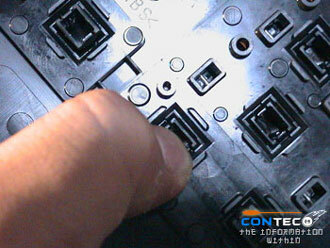 While doing this, you might want to clean your keyboard. 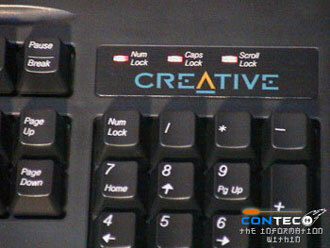 Please take note that we are using a Creative Keyboard (manufactured by Mitsumi). We strongly advise you to take note of the key layout before you take apart your keyboard or else you’ll have a big problem when you put everything back together again. 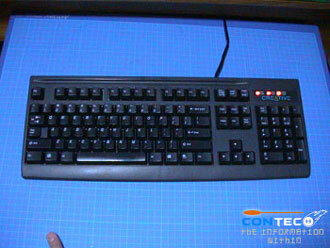 Alternatively, if you have a spare keyboard lying around just use it as a reference. 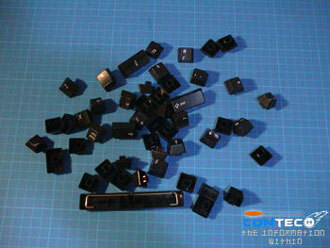 We should not be held responsible if you damage your keyboard. Be careful! This is how it looks like before the mod. 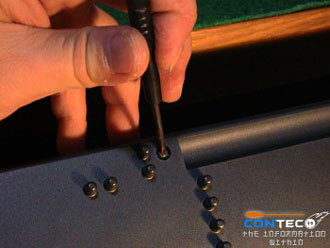 Unscrew all the screws from the back of the keyboard. 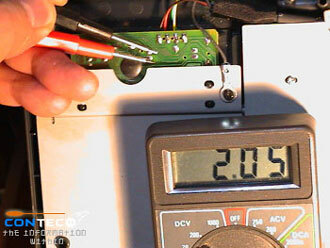 While your computer is on, use a multimeter to check the LED voltage. 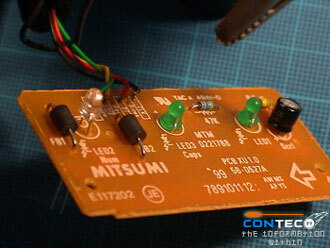 It is recommended that you check now and determine what kind of LED is suitable for your keyboard (3V in this case will do just fine). 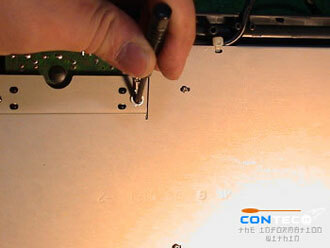 Unscrew the panel that is holding the PCB. 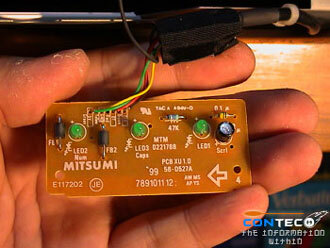 Here it’s quite clear what each LED indicates. 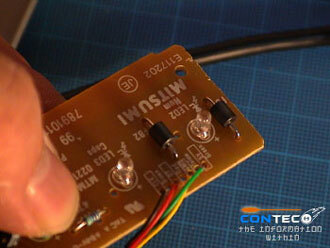 Now you will need to locate where the LEDs are soldered onto the PCB. 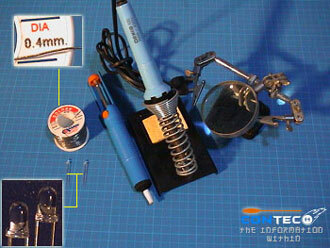 Use the solder clamp to clamp the PCB while you desolder the LED with a solder and a solder sucker. 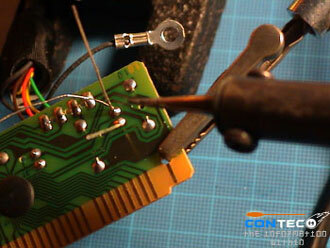 Insert the new LED in place taking care of the correct polarity of your LED pins. 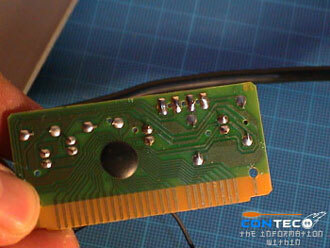 Solder the LED onto the PCB. 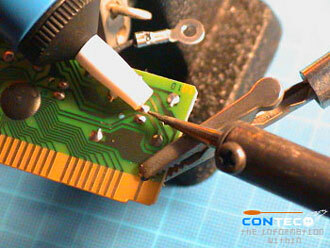 As for excess pin legs on the LED, trim it off with a cutter. The finished product. Now leave it aside for a while. Now comes the cleaning part. 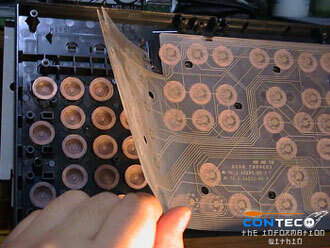 Remove the circuit sheet. We don’t have a clue what to call this rubbery plugs. Anyway, just remove them and don’t lose them! 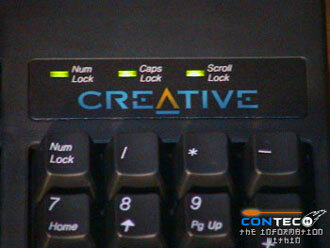 From the back of the keyboard, push the key clips to remove the keys. This is the fun but most tedious part. 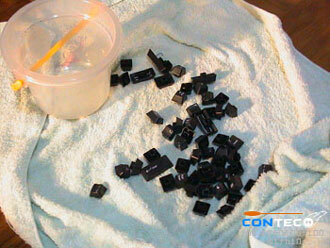 Wash the keys in warm water with detergent and dry them. 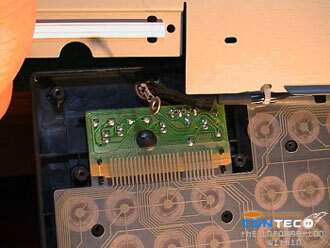 Leave the keys to dry for a while longer as there will still be water droplets within the keys. 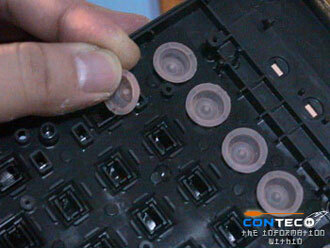 Once you are done, assemble the keyboard. It is the exact reverse of the way you dismantled it. Wow! Looks new, doesn’t it? A close up of this simple mod.